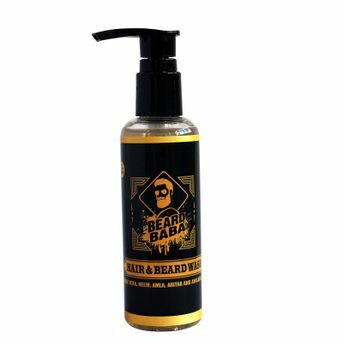 The Beard Baba Hair and Beard Wash is your hair's holy grail product. A good hair and beard need great wash. It goes through an onslaught of dust, harmful chemicals, polluted air, and a lot more. This contain less soap and more natural ingredients. It acts perfectly as a wash and conditioning agent too. In two weeks you will feel the difference.